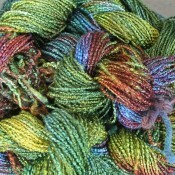 and a 12 dent rigid heddle bar. 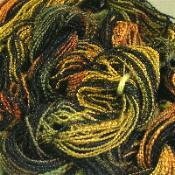 These hand-painted rayon warps have 108 threads, are 2-1/3 yards long, and should be set at 12 ends per inch. 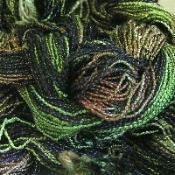 We suggest doubling the outside two threads on either side for selvedge. 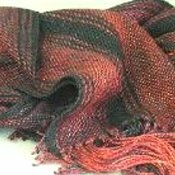 If you are working on an Ashford Loom, you will be using a 12.5 dent heddle, and your scarf will be slightly narrower. 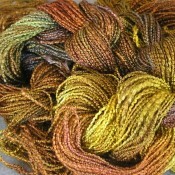 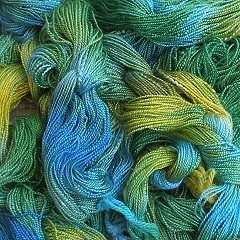 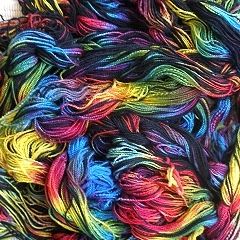 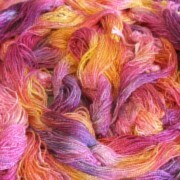 The warps are made with Dragon Tale Rayon Slub and hand-dyed with fiber-reactive dyes. 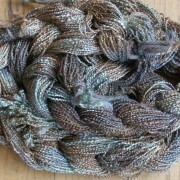 Each one is long enough to weave one 5 foot long scarf (measured on-loom, before shrinkage) using the loom waste for fringe. 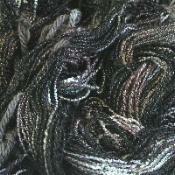 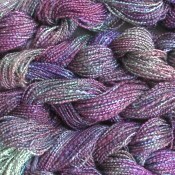 The weft yarn is Dragon Tale 8/2 rayon and should be used doubled. 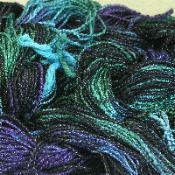 Warping instructions are included, and you can find them here as well. 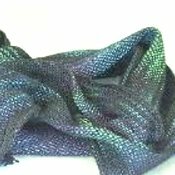 These single-scarf rigid heddle warps come in all the same colors as our hand-painted, on loom, 3-scarf warps. 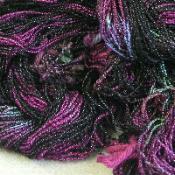 Since they are wound entirely with slub yarn, the texture is somewhat different. 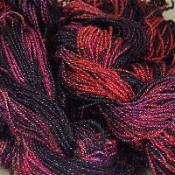 They will replace Jewel Tones and Moss Rose when current stock is gone. 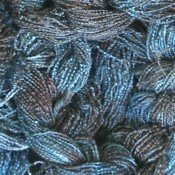 The first six have no black yarn, and come with non-black weft.